It’s been a very long time. Not since the mid-1990s in fact. And that was at a small, rural sewage treatment works in Wiltshire. Rural sewage treatment works tend to be havens for wildlife – and also quiet, hard to find (no sat navs then) and occasionally it’s only possible to depart by reversing down winding, hedge-blinkered, narrow lanes. But what I experienced in Wiltshire that memorable day was not the sight of a rare flower (as there are at some sites), nor of a small, rare four-legged animal (ditto) but a sound. The sound of an elusive creature I could not see. 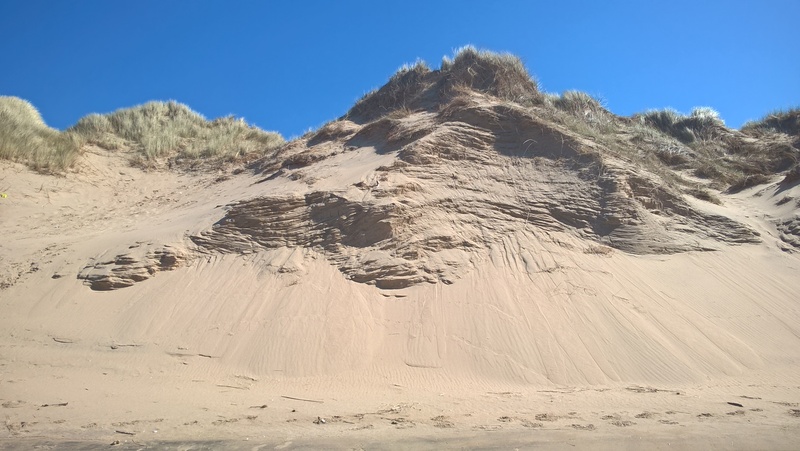 Yesterday, somewhat depressed, as seems to be my fate these last few weeks (don’t mention the kitchen) I took myself out to the local sand dunes, adjoining Royal Birkdale Golf Club. We’re lucky here, the entire coastal fringe of Sefton is protected as a Site of Special Scientific Interest – an SSSI. For which we partly have our famous links golf courses to thank, for keeping them unbuilt-upon. The afternoon was moving on to evening, but still the spring sun poured warm libations onto my head as I strode past windswept trees and into the warm, grass covered mounds. The sand was soft and golden underfoot. Walking was hard work. But the world was beautiful. Bluebells danced their tethered dance, dappled through trees with leaves unfurling fresh and lush with sap. Tawny tassels swung from birches. Pink-and-white blossom itched to break free. Birds sang, dogs ran. People said ‘hi’ or ‘hello’ – or even, ‘good afternoon’. Then I reached a place where no-one was. No dogs. No people. 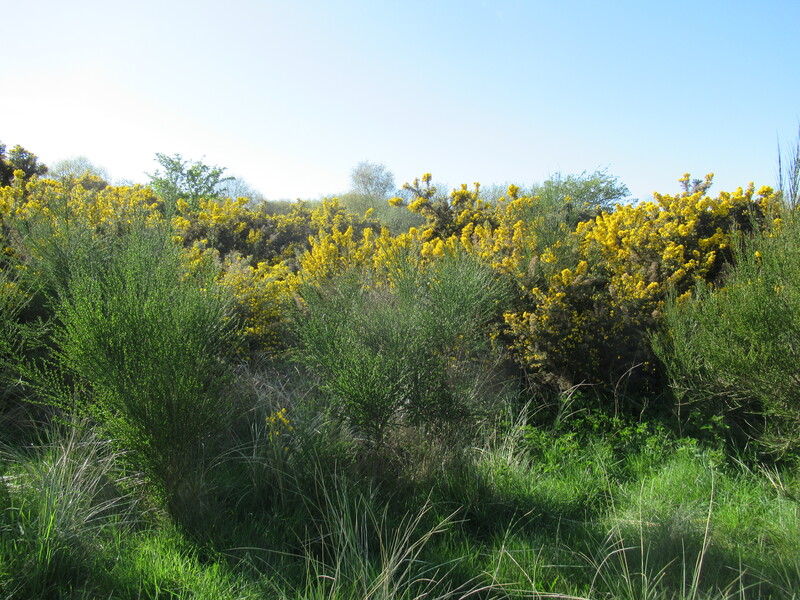 Just trilling birds, stands of gorse emitting waves of sharp, coconut-like scent. And me. And then came a sound. I thought it would be a fleeting call – that it would stop the instant I heard it, But no. But even better, the invisible singer cuckooed on. I lifted the little red picture machine clasped in my hand, pressed ‘record’ – and hoped for the best. Which is why, today I can share my burst of joy with you all. Happy May day, one and all. 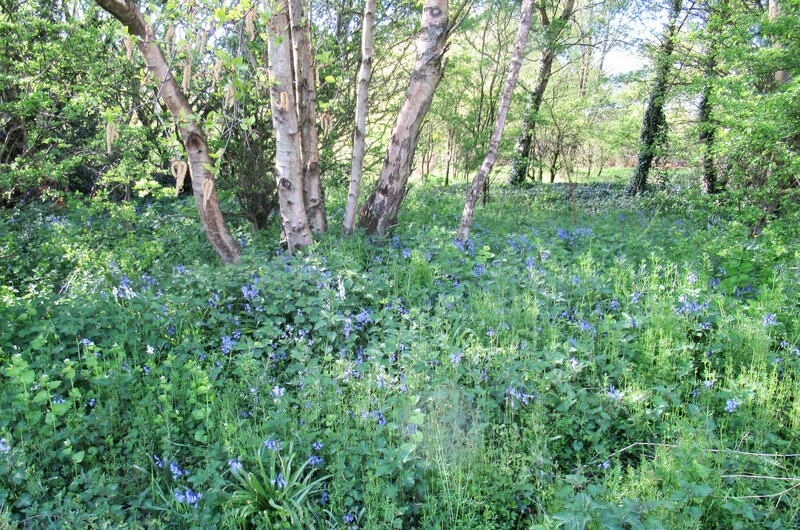 This entry was posted in Lancashire & the golf coast, Nature notes and tagged bluebells, cuckoo, gorse, links golf courses, sand dunes, Sefton coast, sewage treatment works, Shakespeare, Site of Special Scientific Interest, St Cuthbert's school Bradford. Bookmark the permalink. Happy May Day! The Cuckoo’s call is so distinct. I have never heard it before! Thanks. Happy May Day to you, too. And thank you for the sound of the cuckoo. I’ve never heard it before. It’s lovely, no matter what Shakespeare says–or sings. OH MY!! I’ve never heard a cuckoo in the wild before … what a privilege! Thank you for sharing this rare treat with your readers. 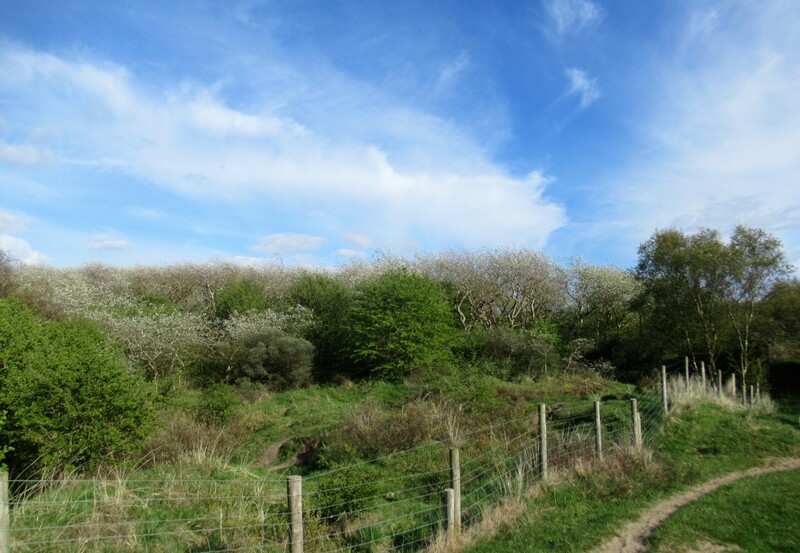 A great May Day event – actually hearing a cuckoo in the wild! Thanks Christa, glad you liked it too – I loved Fiona’s ‘voluptuous’! I can imagine a cuckoo across from you – sad there hasn’t been one since – or maybe you have been the elusive one and it did still sing for the holy folk (not suggesting you’re not wholly holy! ).